Consumers today are busier than ever and often wear many hats, taking on many different roles. 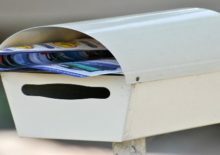 So how can you grab their attention when they feel the demands of their day-to-day workload, then arrive home to a mailbox that is overflowing with direct mail? The answer is with quality images. As consumers sift through the mail pile, images are sure to capture their attention. Unlike in a brick and mortar store, or shopping online, there are fewer distractions in a catalog. Consumers can focus on the items individually. In stores, customers are faced with an overload of stimuli— crowds, music, multiple items, and having to search through thousands of items for the one thing they need. Online customers are faced with pop-up ads, and having to scroll down through pages to find their item. There is also the temptation of other sites and social media. Items become more relatable with a visual. Customers can imagine the item in their home, or as a gift. It adds a level of transparency to buying. High-quality images are a valuable component in a catalog, and provide a way for consumers to connect with the item. Product images throughout the catalog engage your customers. Quality photos with attention to detail make items more attractive and boost sales. Consider a higher resolution photo, which will create a crisp, clean image. A lower resolution will leave an image feeling blurry, or give the impression that the product is of lesser value or quality. Item only, with a solid background. Image of the item in its natural environment. Both options serve a different purpose. An image with a solid color background displays the product without any interference. Your item is on center stage, with no distractions! Items can be showcased at different angles, and allow your customer to appreciate the item they are viewing, with attention to the details within the item. An image of a product in its environment allows customers to visualize the item being used. This can also allow the customer to see another use for the item that they may not have visualized before. Complementary items can be displayed in one photo, attracting sales to more than one item. 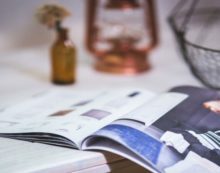 While every element of a catalog is important, from the cover to the product description, reviewing your marketing plan, and the quality and type of images used, is one way to increase sales and motivate consumers to buy.